New Lens System for Brighter, Sharper Diffraction ImagesResearchers from Brookhaven Lab designed, implemented, and applied a new and improved focusing system for electron diffraction measurements. 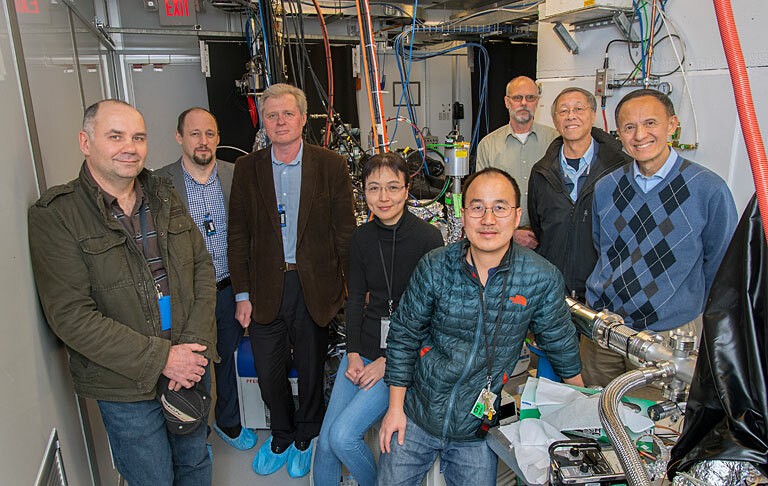 Photon Sciences at Brookhaven National Laboratory is entering an exciting new chapter with one of the newest and most advanced synchrotron facilities in the world. National Synchrotron Light Source II will enable the study of material properties and functions with nanoscale resolution and exquisite sensitivity. NSLS-II will provide research tools needed to foster new discoveries and create breakthroughs in such critical areas as energy security, environment, and human health.